Lithium battery startup company Envia Systems plans to announce tomorrow, at the ARPA-E conference, development of a high energy density lithium battery (400 watt-hours per kilogram) which could be the tipping point enabling long range affordable electric cars. 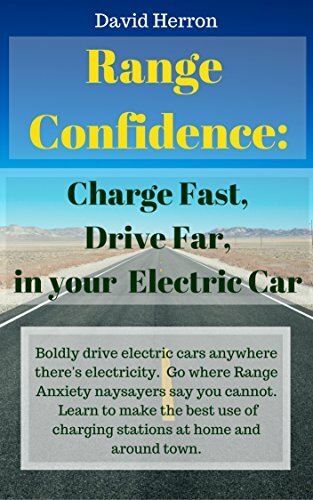 Long range electric cars have been possible for quite awhile, Solectria built one in the 1990’s, and Tesla Motors has been selling the Roadster and will soon be selling the Model S with battery packs sufficient for 200-300 miles of all electric driving range. What Envia brings to this is higher energy density and lower cost, a combination which would make for an affordable, long range, electric car with a 300-mile range and a price around $25,000 to $30,000. Envia’s technology is a new cathode design for lithium-Ion batteries which the company calls the High Capacity Manganese Rich (HCMR) cathode. 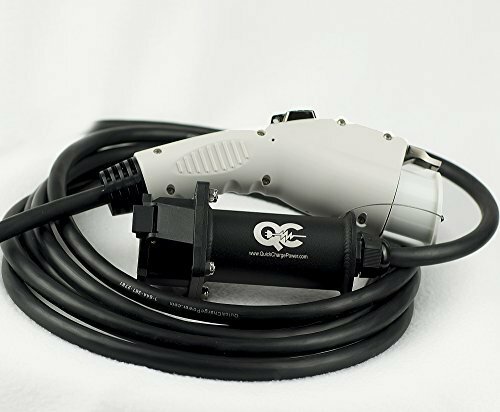 It’s claimed the design has excellent stability, long lifetime in charge cycles, and a high per cell voltage. 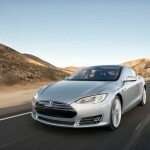 The company has also designed anode and electrolyte materials required to build complete batteries. Batteries have a positive terminal (the anode), a negative terminal (the cathode), and an electrolyte mix between the two. 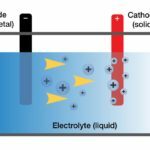 Electrons move between the anode and cathode through the electrolyte. Envia’s cathode design is due in part to technology the company licensed a year ago from Argonne National Labs. The result is a battery that stores 400 watt-hours of electricity per kilogram, compared to the 100-200 watt-hours/kilogram for todays lithium-ion batteries. 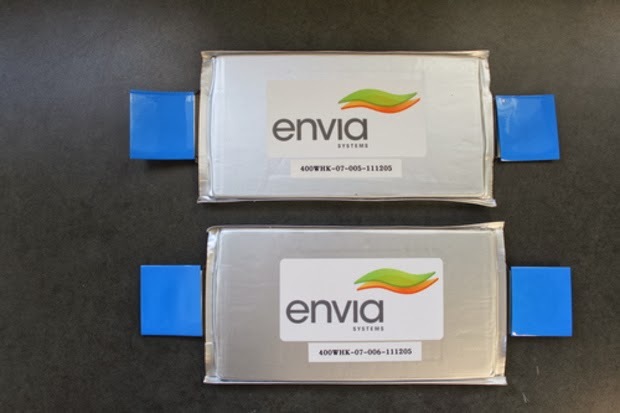 Envia says its battery cell costs could be as low as $125 per kilowatt-hour. It’s difficult to get accurate prices automakers pay for batteries, but it’s thought to be in the neighborhood of $5-600 per kilowatt-hour. Together this means Envia has achieved a breakthrough of over twice the energy density of todays batteries, at 1/4 or less the cost. If Envia’s battery development works out, and is commercialized, the dramatically higher energy density would mean a dramatic jump in electric car range without sacrificing vehicle weight, size or cargo capacity. 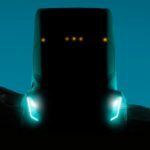 It would also represent a dramatic decrease in battery pack cost, letting automakers reduce vehicle prices. However it’s not quite as dramatic a jump in energy density as the 1000 watt-hours/kilogram announced hoped for by PolyPlus . Envia’s cells have undergone Verification & Validation testing by the Naval Service Warfare Center, Crane Division (NSWC Crane) under the ARPA-E program. According to a summary released on Envia’s website, the NSWC was able to verify the cells have a capacity of 46 amp-hours and an energy density of 400 watt-hours/Kilogram. By comparison the NCR18650A manufactured by Panasonic has 3.1 amp-hours capacity, and an energy density of 245 watt-hours/kilogram. While Tesla Motors has sourced 18650 size cells from Panasonic for use in the Model S, that company has stated Panasonic designed a custom chemistry solely for use by Tesla. 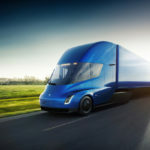 “Gone are the days of relying on ancient consumer batteries for automobiles and stifling this revolution by making expensive electric cars,” says Envia CEO Atul Kapadia. 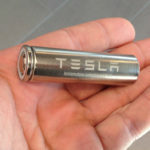 This is a not-so-subtle reference to Tesla Motors which famously relies on “laptop cells” in the 18650 format to power the Roadster, Model S and Model X. Tesla representatives have described this as a strategic move to tap into the R&D into lithium ion cells for consumer electronics. At the same time Tesla’s strategy has not allowed them to reduce vehicle prices into a range we could call “affordable”. The companies business model is to not go into the battery manufacturing business itself, but instead to license the technology out to other manufacturers. Envia’s agreement with GM should make it easier to forge licensing agreements with battery cell manufacturers. “In an industry where energy density tends to increase five percent a year, our achievement of more than doubling state-of-art energy density and lowering cost by half is a giant step towards realizing Envia’s mission of mass market affordability of a 300-mile electric vehicle,” says Kapadia. Every so often battery energy density takes a dramatic leap like this. The jump from lead-acid to Nickel-Metal-Hydride was one such jump, and the jump to lithium-ion was another. Battery Research, Envia Systems. Bookmark.